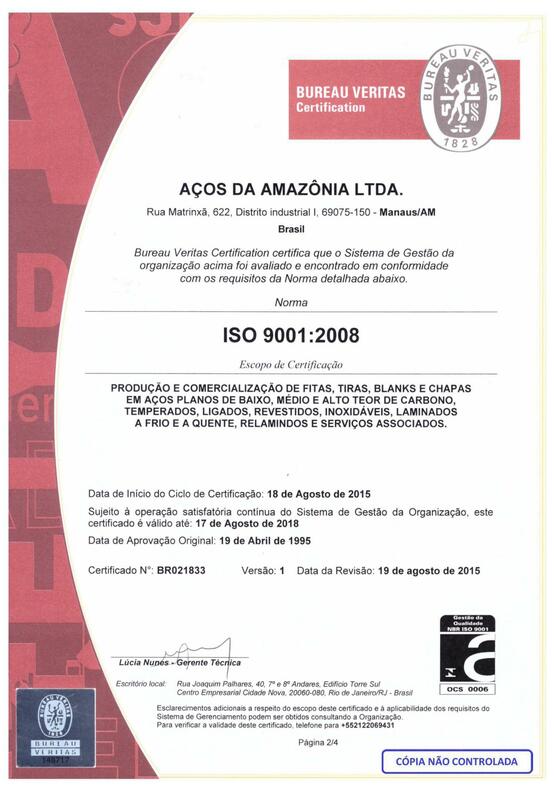 Aços da Amazônia is a business unit of Armco do Brasil S.A. opened in Manaus in October 1997. Later, following an expansion project, was installed in the Industrial District I in August 2006. “Become the main strategic center of distribution of steel in the Amazon Region, providing differentiated products and services at competitive prices, also contributing to the professional growth of its employees and adding value to customers and shareholders”. Actions related on health and safety. Please, read our Integrated Policy. Joint review of specifications with the objective of reducing the costs. Storage of cold rolled/zinc coated/ stainless steel coils in optimal inventory/handling conditions. Continuous inventory control system and integrated information with our customers. Quick response to unexpected events. Raw material inventory in partnership with the mills.